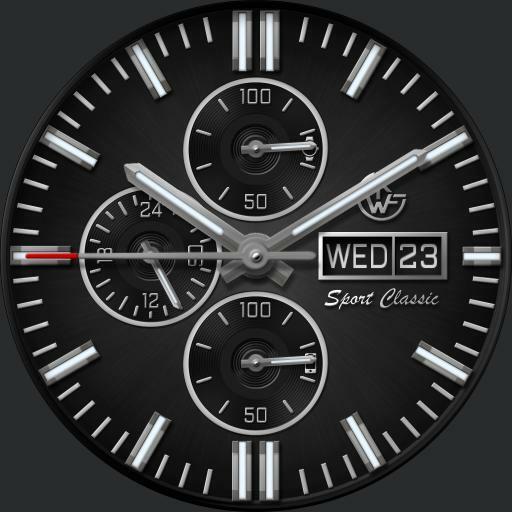 Tap Top Sub Dial to cycle dial colors. Tap Date area to cycle Hand colors. Tap between 7 and 8 to enter chrono mode and start/stop chrono. In chrono mode seconds hand is chronograph seconds. Top sub dial is chrono minutes and bottom sub dial is chrono hours. Tap between 4 and 5 to reset and exit chrono mode.